11:35 AM 8/21/2018 – “Maintain cordial and frequent communication with the German Ambassador.” These Vatican’s orders to the young Jesuit Edmund A. Walsh, when he was on mission to Russia, sound revealing. “Trump appearing with Roy Cohn, who died in 1986. These Vatican’s orders to the young Jesuit Edmund A. Walsh, when he was on mission to Russia, sound revealing. 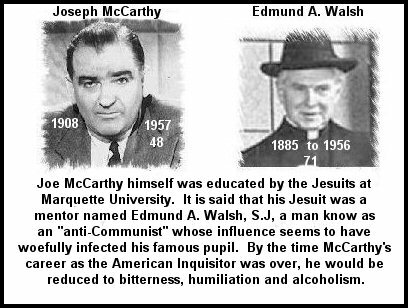 Walsh, it looks like, was the agent of the German Intelligence, and he was the force and the engine behind the J. McCarthy’s actions. McCarthy looks like a dupe of the German Intelligence from the beginning, from the time they “elected” him on a Communist platform. Mr. Trump might be correct when he talks about the “McCarthyism” as being the issue of the current troubles, but there is a clear and ironic twist to it: the long term plans, designs, and shows of the German Intelligence in both “cases”. Army ended McCarthyism, and they probably understood quite well, what it was about. 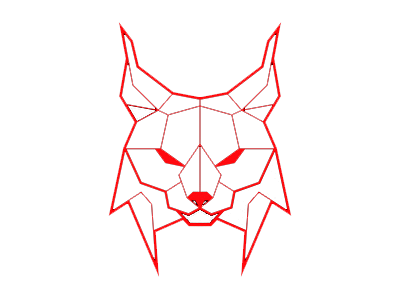 They might be in a good position to neutralize the hostile designs of “Russland Affare” now also, and not necessarily in the ways that can be clearly seen now, and not in the dramatic political ways. The true and comprehensive National Security agenda and posture might be the adequate if not the only way to control the situation and to safeguard whatever has to be safeguarded. “Professor [Colonel] Charles H.Kraus” remains a somewhat mysterious figure with the German sounding last name. , Cohn states:Why, quite specifically, did Joe McCarthy “buy the package”? . . . I am sure he saw the dramatic political opportunities connected with a fight on Communism. . . .There have been many accounts of how McCarthy was launched on the Communist issue. According to one oft-told version, McCarthy telephoned William A. Roberts, a well-known Washington attorney, early in January 1950, and said he stood in need of a strong basic issue. Roberts there upon arranged a dinner at the Colony Restaurant with the late Farther Edmund A. Walsh . 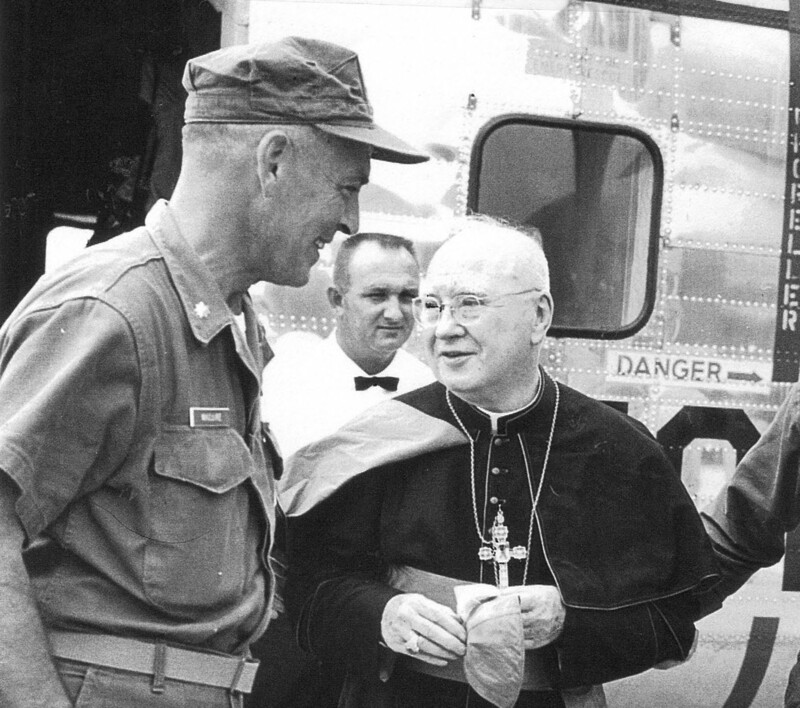 . . and Professor [Colonel] Charles H.Kraus [described elsewhere as “a devoted friend of Fr.Walsh”—S.T. ], who taught political science at Georgetown. . . .At length, Father Walsh . . . suggested the subject of Soviet imperialism’s threat to the United States through widespread subversion. . . .According to published reports, Professor Kraus wanted McCarthy to meet the three, all of them Roman Catholics, in order to “encourage in a young Catholic senator a serious approach to serious matters.” Roberts, on the other hand, insists that McCarthy asked for the meeting “because he needed an issue and he got one there.” Conceivably, the Senator wanted further information on Communism from the political-science experts that night. Why should any American wish, much less conspire, to betray the United States to the wardens who control the prison house that Russia is and the satellites have become? . . . What makes a Communist or a sympathizer out of an American comfortably placed, sometimes a millionaire, often a successful author, a playwright, a Hollywood figure, a schoolteacher, a government employee? “The Vatican Secretariat of State, endorsed Fr. Walsh’s view of Chicherin. In his May 18, 1923 communication to Fr. Walsh (Vatican Secretariat No. 17390/49), Msgr.Pizzardi (later Cardinal), orders Fr. 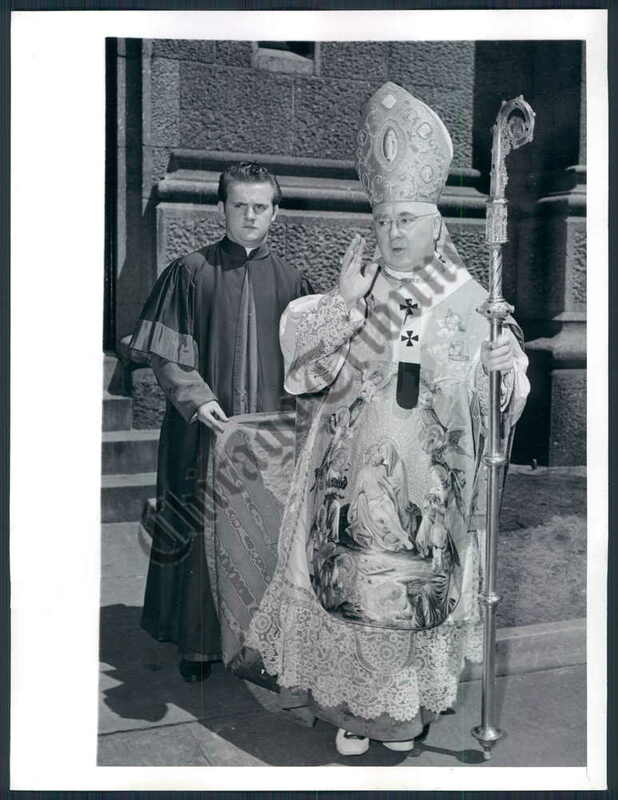 Walsh to: “Maintain cordial and frequent communication with the German Ambassador.” This message is a signal that Fr. Walsh was being placed at the center of Venetian agent Parvus’networks within the Trust. Alongside the news that White House counsel Don McGahn spent more than 30 hours with investigators, it seems that Mueller’s probe into Russian interference in the 2016 elections and possible conspiracy has tentacles that could be moving in directions the public does not yet understand. A source told CNN that McGahn did not provide information that would be incriminating to the President, but Trump’s lawyers also admitted they did not get a readout from the top White House lawyer about what he said. It bears mentioning on a daily basis that no matter what happens, Trump’s presidency will make history; the US has never encountered an administration like Trump’s, where the chief executive is convinced the government he leads is out to get him. And history was much on Trump’s mind as he dispatched his takes on Watergate and McCarthyism on his Twitter feed over the weekend. Trump was alleging McCarthyism over the weekend, but it’s the Watergate comparisons he rejects that seem to be sticking. It was Richard Nixon’s White House counsel John Dean who flipped on Nixon and helped bring him down. In Trump’s telling, Dean is a villain of the Watergate saga because he told the truth about his boss, the president. Trump called Dean a “RAT” on Twitter on Sunday and denied the comparison, but The New York Times reported officials in Trump’s legal team don’t actually know what McGahn might have said before Mueller’s team. 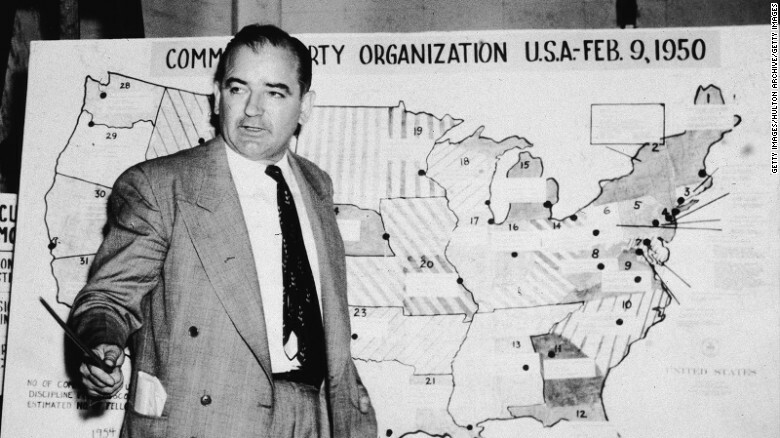 Joseph McCarthy, a Republican senator from Wisconsin, stands before a map which charts Communist activity in the United States in 1954. Watergate wasn’t the only history Trump was rewriting Sunday, as he tried to paint Mueller as a latter-day Joseph McCarthy, the notorious anti-Communist crusader of the 1950s whose name became a stand-in for government overreach. for president in the 1970s — but Trump was more concerned with the ’50s on Sunday. 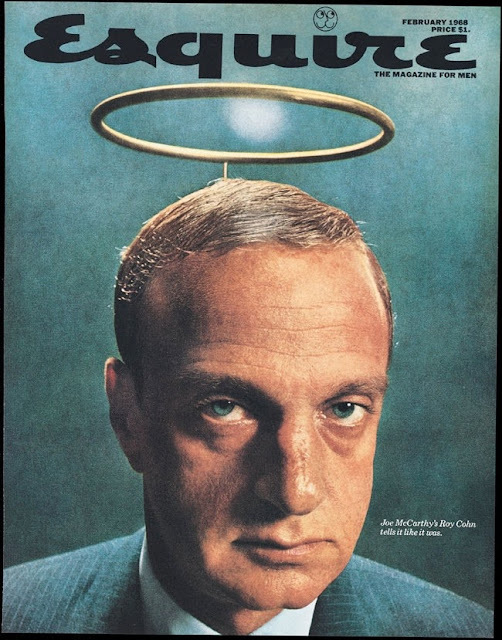 The President may very well have studied McCarthy; in New York in the ’70s, Trump was a protege of Roy Cohn, the lawyer who decades earlier helped McCarthy try to root out communists and allege ties to the Soviet Union. 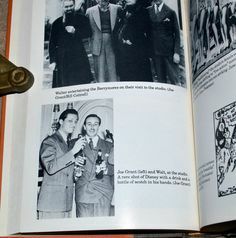 McCarthy’s effort, now seen almost universally as a stain on the country, saw him and Cohn run wild as they ruined lives and ginned up the Red Scare, alleging a communist infiltration in the State Department and producing a list of names he said were the culprits. He later held hearings about alleged communist sympathies in the Army. (Stylistically, McCarthy’s secret list of communists and the innuendo he used to frighten Americans with a communist conspiracy theory shares more similarities with Trump’s allegations of a “deep state” and his growing list of current and former government officials, including Brennan, whose security clearances Trump has either revoked or is reviewing). Cohn, by the way, later worked with Roger Stone, an early Trump political ally who now figures in the Mueller investigation. 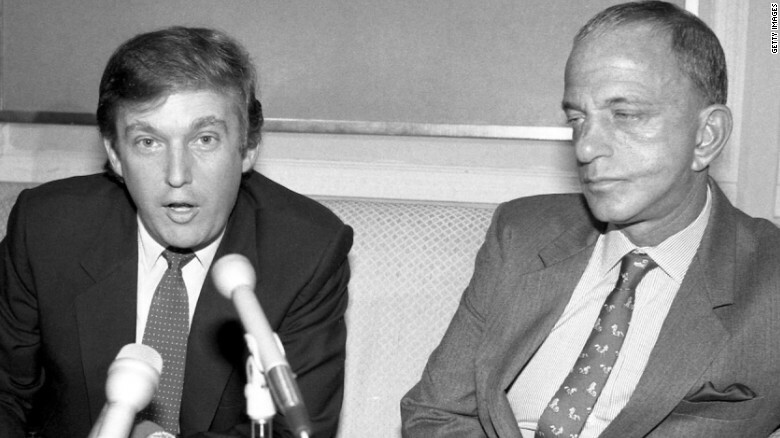 Trump appearing with Roy Cohn, who died in 1986. Trump’s ties to McCarthy are stronger than any comparison of McCarthy to Mueller, who is not a senator trying to use public hearings and reports for political gain, but rather a special counsel who by all accounts is proceeding quietly and methodically. The McCarthy allusion was the latest revisionist history lesson from Trump as the country waits for jurors to finish deliberating in the trial of Trump’s former campaign manager in Alexandria, Virginia, on tax evasion and fraud charges. Earlier this month, Trump made the unwelcome comparison between that former campaign boss, Paul Manafort, and Al Capone, the infamous mob boss ultimately brought down by the IRS on tax evasion charges. Meanwhile, it’s unclear to everyone but Mueller and his team what they’ll ultimately report. And it became clear this weekend, after Trump lashed out following a series of stories in The New York Times about White House counsel McGahn, who Trump says he early on encouraged him to cooperate with Mueller. The Times later wrote — and a source confirmed to CNN — that the White House is unclear what information McGahn may have shared with Mueller, a potentially frightening development for Trump, since McGahn could be witness to Trump’s alleged efforts to quash quash or minimize the Russian investigation. Don McGahn in the role of John Dean? Trump lashed out in a two-part Twitter statement Sunday, mixing a Watergate allusion with another McCarthy one. Speaking later Sunday on CNN, Dean responded, saying he’d be honored to be on a list of Trump’s enemies, and pointing out that Trump should worry about McGahn’s testimony, since McGahn’s role is to be the White House’s lawyer, not Trump’s. While he held the same White House title as McGahn, Dean is also featuring in another of the dramas that swirls around Trump and the current and former aides talking to authorities. he has been consulting Dean on a regular basis. Cohen, facing his own legal problems, has indicated he could cooperate with Mueller. “I certainly don’t want to raise expectations that Mr. Cohen has anything like the level of deep involvement and detailed knowledge that John Dean had in the Nixon White House as a witness to Nixon’s crimes, but I did see some similarities and wanted to learn from what John went through,” Cohen’s attorney Lanny Davis told Politico. Dean cooperated with prosecutors and ultimately testified about Nixon’s misdeeds at the Watergate hearings and served four months in prison for his own obstruction of justice. It’s not clear what role if any McGahn might play in Mueller’s final report, whatever it might say, despite mounting pressure from Giuliani to get it out of the way before November elections. Another historical note, since Trump is conflating Watergate and McCarthyism, is that a key ally of McCarthy’s before his efforts went fully off the rails was none other than Richard Nixon. In November 1953, Schine was drafted into the United States Army as a private. Cohn immediately began a campaign to obtain special privileges for Schine. Cohn met with and made repeated telephone calls to military officials from the Secretary of the Army down to Schine’s company commander. He asked that Schine be given a commission, which the Army refused due to Schine’s lack of qualifications, and that Schine be given light duties, extra leave and not be assigned overseas. At one point, Cohn was reported to have threatened to “wreck the Army” if his demands were not met. During the Army-McCarthy Hearings of 1954, the Army charged Cohn and McCarthy with using improper pressure to influence the Army, while McCarthy and Cohn counter-charged that the Army was holding Schine “hostage” in an attempt to squelch McCarthy’s investigations into Communists in the Army. The hearings were broadcast live using the relatively new medium of television and were viewed by an estimated 20 million people. 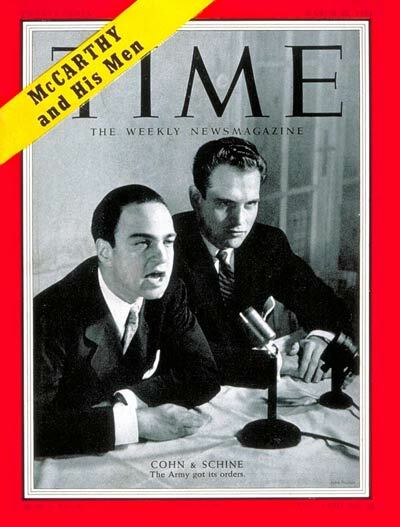 Just prior to the hearings, Schine and Cohn appeared on the cover of TIMEon March 22, 1954, under the banner “McCarthy and His Men”. Schine and Cohn were rumored to have a sexual relationship, although there has never been any proof of this. More recently, some historians have concluded that the two were merely friends, and that Schine was heterosexual. During this period, Schine was linked romantically with some actresses, including Rhonda Fleming and Piper Laurie. Cohn’s homosexuality later became public and he died of AIDS in 1986. The Army–McCarthy hearings absolved McCarthy of any direct wrongdoing, blaming Cohn alone. The exposure of McCarthy and his methods before a television audience, however, is widely considered the beginning of the end of his career. Roy Cohn resigned from McCarthy’s staff shortly after the hearings. After the hearings, Schine left politics and refused to comment on the episode for the rest of his life, so his view of his relationship with Cohn remains unknown. 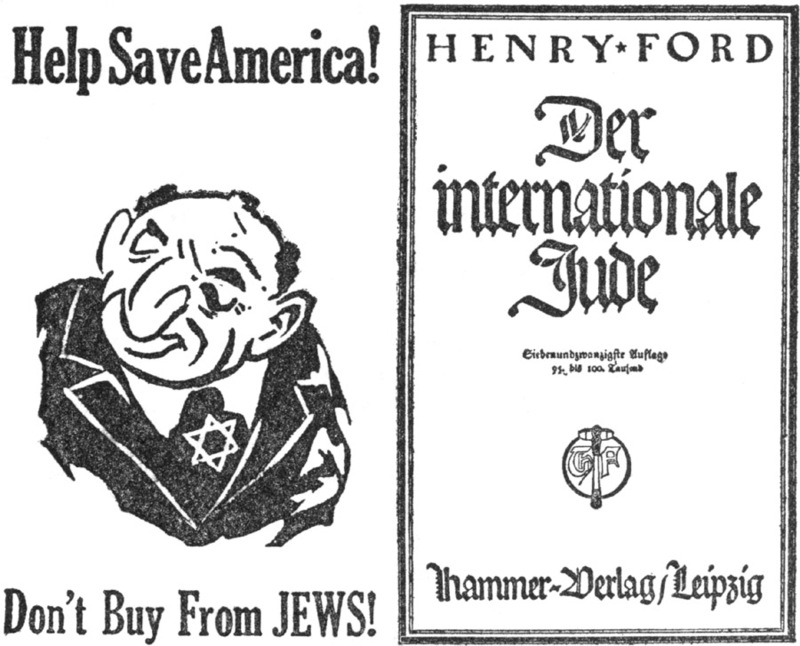 In October 1937, Spivak testified before a Massachusetts legislative commission investigating Communist, fascist, and Nazi activities, describing a nationwide Nazi propaganda network and accusing two employees of Henry Ford, among others, of distributing Nazi propaganda. He identified another witness as a distributor of Nazi propaganda, who in turn said Spivak was being paid by the Communist Party. 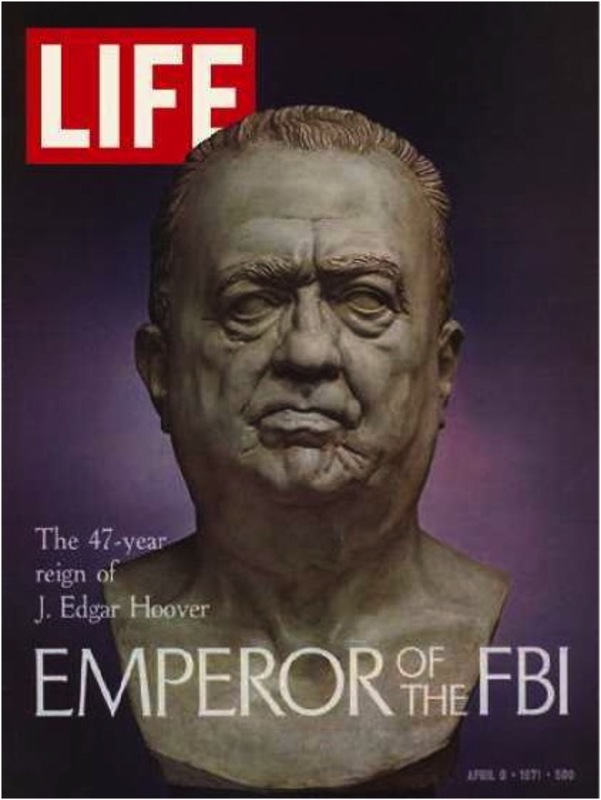 In 1940, he was arrested for criminal libel because of charges he made in Secret Armies that an investigator for the House Un-American Activities Committee and a German instructor at Wichita State University were Nazi agents. 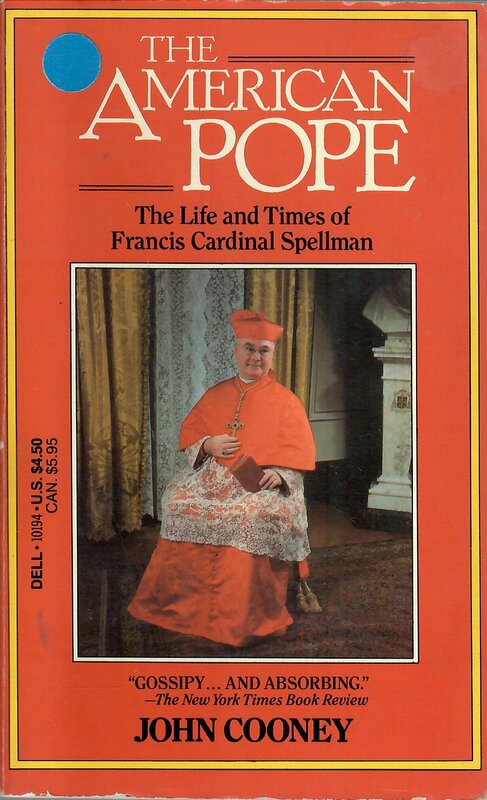 Spivak also investigated the financial activities of Charles E. Coughlin, the Catholic radio priest who founded the National Shrine of the Little Flower in Royal Oak, Michigan. One author described Spivak’s combination of documentation and advocacy in Shrine of the Silver Dollar (1940) as “in the nature of investigative reporting.” A review of the historical literature on Coughlin places a sympathetic biography at one end of the scale and Spivak’s “rabid” study at the other, calling Shrine “a primary document of the brown scare,” that is, an unwarranted and hysterical fear of a right-wing overthrow of the federal government. mikenova shared this story from www.bgdailynews.com – RSS Results of type article. WASHINGTON – When the FBI tapped him to investigate whether the Trump campaign conspired with Russia to shape the presidential election, agent Peter Strzok was thrilled. At that point, the task ahead did not seem too daunting for the celebrated counterintelligence investigator who had spent decades busting terrorists and spies. Donald Trump, a former reality-TV star and the Republican nominee for president, seemed unlikely to win the election. The FBI’s examination of his campaign was a secret. And the public pressure that Strzok faced in his last politically charged case – the investigation of Trump’s opponent, Hillary Clinton – was not quite so intense. But by the following spring, everything had changed. Trump upset Clinton in the November election, and the FBI director said publicly that the president’s campaign was being examined. A special counsel was appointed to lead the high-stakes case. Strzok confided in friends that his early enthusiasm had abated. “The impression I got was that he didn’t want to go and get involved in some political thing that was going to drag out forever and have nothing come of it,” said a former FBI official who discussed the case with Strzok. The case would come to upend Strzok’s life – airing to the world his marital infidelity and bringing his distinguished, 22-year FBI career to an ignominious end. Last week, Strzok was fired from the bureau over text messages he sent expressing his disdain for Trump and suggesting he would “stop” the Republican candidate from winning the election. 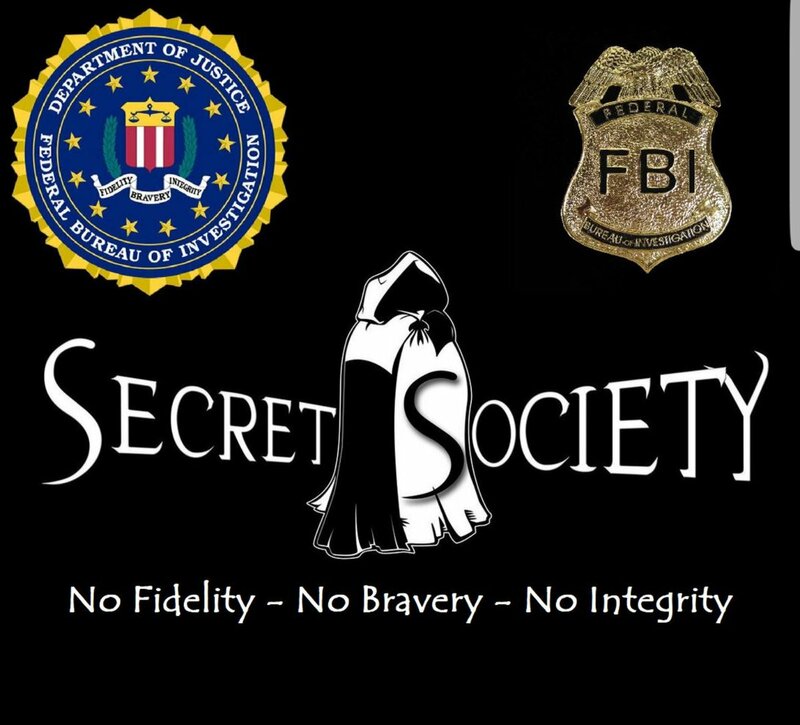 The termination – ordered personally by the bureau’s deputy director – comes as the FBI is struggling to improve morale and regain its once venerated reputation amid constant criticism from the president and his conservative allies. But Strzok’s firing, rather than easing tensions, might serve to fuel the partisan inferno surrounding the bureau’s work. Strzok has been one of President Donald Trump’s favorite targets as he has sought to undercut the ongoing investigation into his campaign. That seems to have influenced the bureau’s treatment of the once beloved agent, defenders of Strzok say. “It is a decision that produces only one winner – those who seek to harm our country and weaken our democracy,” Aitan Goelman, Strzok’s attorney, said in a statement about his client’s firing. FBI Director Christopher Wray has said Strzok’s discipline would be handled “by the book.” But the termination was more severe than the demotion and 60-day suspension that the bureau’s employee discipline office decided Strzok should face. The FBI declined to comment. Many people who worked with Strzok over the years said they did not know what his partisan leanings were until the messages emerged. But even supporters acknowledge his reputation might have sustained a fatal wound from his texts about people he was investigating, on a work phone, to a woman with whom he was having an affair. Strzok has always seemed to live a life fit for a G-man movie. The son of an Army officer turned international development worker, Strzok traveled the world as a child – witnessing the violent overthrows of governments in Iran, West Africa and Haiti by the time he was 16. Strzok served briefly in the Army himself, spending four years in the early 1990s as an active-duty field artillery officer. Fred Dews, who trained with him in the Army and ROTC, remembered him as a young man of “quiet intensity.” At field artillery school in Oklahoma, Strzok finished at the top of his class, Dews said. Strzok joined the FBI in 1996, working first as an analyst on terrorism cases and later as a special agent in Boston and Washington. He came to specialize in espionage and counterintelligence work. No matter where Strzok was assigned, he found himself at the center of the biggest cases. He located the rental car abandoned by three of the 9/11 hijackers, helped arrest Russian spies living a secret life in the United States and supervised sensitive probes of CIA officers thought to have abused their positions. Strzok’s colleagues in federal law enforcement said Strzok had a special talent for following leads and marshaling the bureaucratic machinery of the FBI into action. 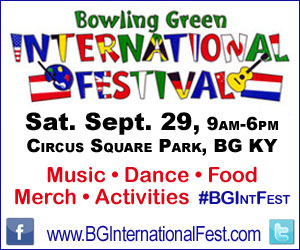 In 2011, for example, a guard at a U.S. consulate was indicted for allegedly trying to sell secrets to China. The guard, Bryan Underwood, skipped a court appearance, leaving behind what appeared to be a suicide note. Strzok learned that Underwood had possibly been spotted riding a bicycle along a Virginia highway, according to people familiar with the case. Strzok worked through the night, gathering bus travel records, internet browser histories and other details that made him think the suspect had used a fake name to travel to a Los Angeles hotel previously linked to Chinese intelligence agents, these people said. As the sun came up in Washington and Strzok was still at his desk, he sent FBI agents to the hotel room where he thought Underwood was staying. Strzok was right. When Underwood was arrested, he was traveling with more than $10,000 in cash and 80,000 Japanese yen, authorities said. Following that, Strzok tackled one of the most controversial counterintelligence cases the FBI had handled in years – the probe into John Kiriakou, a former CIA officer who ultimately pleaded guilty to disclosing to a reporter information about an undercover CIA officer. Some in the bureau say the investigation – which was complicated because it related to the defense lawyers involved in military commission trials of al-Qaida terrorist suspects at Guantanamo Bay, Cuba – helped cement Strzok’s reputation. Kiriakou was charged within days of an interview that Strzok supervised, and he ended up serving nearly two years in prison. For Kiriakou, though, Strzok’s woes are a long-overdue comeuppance. In 2015, Strzok was tapped for a supervisory role on the small team at FBI headquarters assigned to investigate Clinton. The work would put him in close contact with a lawyer in the deputy director’s office, Lisa Page, with whom he would soon begin sharing views that he kept secret even from those closest to him in the bureau. Unbeknown to their colleagues, they were having an affair. For Strzok and Page, that did not seem to be true. The person, who like others spoke on the condition of anonymity to discuss ongoing cases and sensitive personnel issues, said Strzok seemed “somewhat offended” by Clinton’s cavalier attitude toward her emails and advocated for aggressive steps to advance the case. In July 2016, Comey announced at a news conference at FBI headquarters that the bureau was recommending Clinton not face any charges. His statement – which Strzok helped craft – stunned even his Justice Department bosses. When the FBI recommends cases be closed, officials typically make no statement at all. The decision to charge someone is up to prosecutors, and the FBI is supposed to make its view known only to them. Comey’s announcement was also unusual in that it lambasted Clinton for being “extremely careless” – words that Strzok advised using – in her use of a private email server. Strzok would move on to the Russia investigation, but the Clinton case was not yet done. In October, Comey revealed that investigators had resumed their work after discovering emails potentially relevant to the case on the laptop of disgraced former congressman Anthony Weiner, D-N.Y., the husband of one of Clinton’s top aides. Though the bureau only days later said investigators had found nothing to make them change their minds, its actions upended the presidential election. A few weeks later, Clinton lost. In January 2017, Inspector General Michael Horowitz initiated a broad review of the Clinton case – the handling of which was by then drawing criticism from all quarters. Democrats accused Comey of costing Clinton the presidency. Republicans complained that Clinton should have been charged. The bureau was thrown into upheaval. Trump fired Comey as the FBI director in May 2017 – citing his handling of the Clinton case but acknowledging in a television interview he had the Russia investigation on his mind when he did so. Deputy Attorney General Rod Rosenstein appointed former FBI director Robert Mueller as special counsel to explore Russian interference in the election and possible Trump connections. Strzok had been leading that work for the FBI and was an obvious pick for Mueller’s team. Text messages show that Strzok and Page, who both for a time served on Mueller’s team, wrestled with whether they should again work together on such a high-profile case. Two people familiar with their relationship said that, by then, their affair had ended. One of the people said Page discouraged Strzok from joining the team, thinking that would be best for his career. In conversations with others, Strzok said he might feel “relieved” to be taken off the case. By that time, Horowitz was well into his investigation of the Clinton email case. As his investigators sifted through thousands of text messages, they would soon zero in on Strzok and Page. “No. No he’s not. We’ll stop it,” Strzok responded. On July 27, 2017, Horowitz briefed Rosenstein and Mueller on the messages. The next day, Strzok was summoned to the special counsel’s office, where Mueller told him he could no longer participate in the case. He was reassigned to a position in human resources. Horowitz would ultimately say that he could not connect texts with specific investigative decisions in the Clinton case and that he could find “no evidence” that bias affected the decision not to prosecute Clinton. But in June of this year – after the inspector general alleged Strzok had implied “a willingness to take official action” to hurt Trump’s chances of being president – Strzok was made to turn in his gun and badge while the bureau moved to fire him. Strzok’s defenders agree that he could not stay on the Russia case when the texts surfaced. “It was painful and it was too bad, but everybody understands that he had to be removed from Mueller’s team,” said Fayhee, the former prosecutor. One former FBI official who remains close with Strzok said Strzok told him Mueller “did the right thing” in removing him from the team, because even the appearance that he was biased might shake public confidence in the work. But Strzok, those who know him say, hoped to finish his career and retire from the FBI and now feels he is being unfairly vilified by those with political agendas. Strzok, who declined to comment through his attorney for this report, still hopes to restore his reputation, friends say. His team started a GoFundMe page, which raised tens of thousands of dollars after his firing became public Monday. 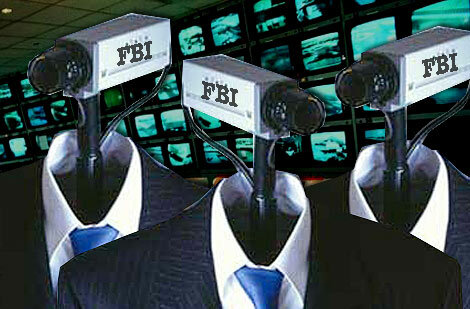 But even supporters say he faces an uphill battle to be welcomed into the community of former FBI agents. Next PostNext 6:40 AM 8/23/2018 – “Heiko Maas is making plans for a new world order”, and it “fits” quite nicely with the hypothesis of the newly enabled German Intelligence as the central driver of the recent World events, and specifically operations “Trump and 9/11”.